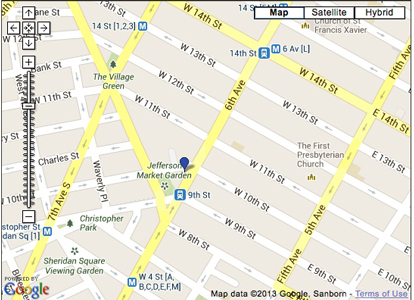 Most New York/Tri-State Sisters in Crime monthly meetings are free and open to the public. We cordially invite guests to attend! 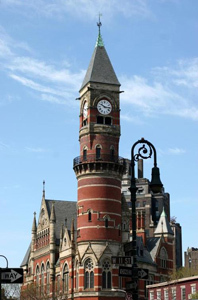 Unless otherwise noted**, our meetings are held on the 3rd Wednesdays of the month at the historic Jefferson Market Public Library in Manhattan, 425 Avenue of the Americas (6th Ave. at 10th Street). We gather in the street-level meeting room, to the left through the children’s room. We begin our meet-and-greet at 6pm, with chapter business and programs beginning by 6:30pm. After the meeting’s conclusion at 7:45pm, any members who choose, and often our guests, adjourn for a casual dinner together at a nearby restaurant. Refer to the HOME page for details on monthly meetings. Would I have to get dressed up for these meetings??? I don’t do dressed up. I wear jeans and casual pants, tops, flats.